← It’s usually better to be early rather than late. Religion should play a positive part in your life. My husband is Hindu and I am Catholic and we embrace each others’ religions. 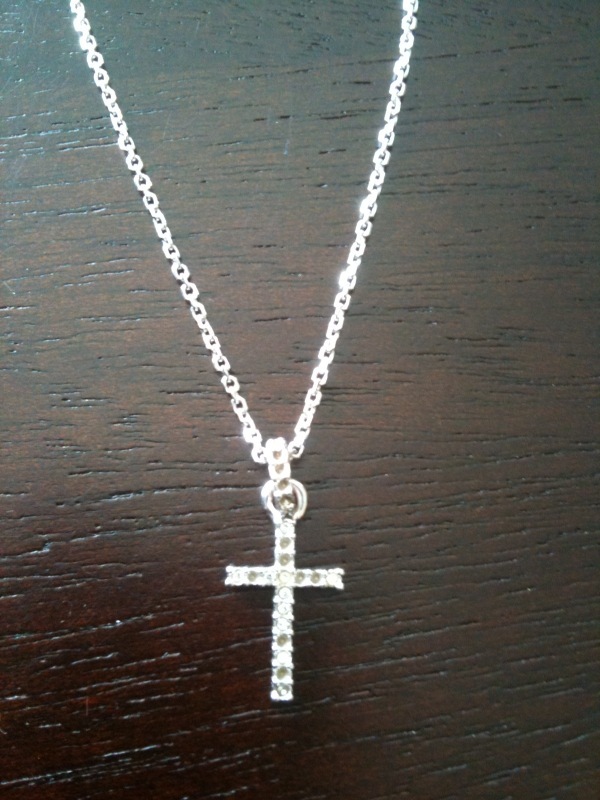 I was very touched when my husband gave me the cross necklace in this post and asked me to identify the shape. I said – “It is a positive/addition sign.” My husband said to me “Remember that this cross should remind you of the “positive” energy religion brings to your life.” Wonderful way to think about it – right? Religion can be such a controversial topic, but in my opinion the basic essence of all religions is to give you a foundation in morals and values. Don’t steal, don’t kill, be thankful and grateful for what you have, etc. I can’t say I agree with everything in my religion, but the basic principles of the religion are good. There is definitely something magical when I hear my daughter singing at the top of her lungs in church – “Peace on earth, peace on earth and good will to men…” It’s a great message. The parenting life lesson is that religion should be seen as a positive part of your childrens’ lives and the importance of teaching them to embrace all religions. All religions are good and do things a bit differently, but in essence are going after the same thing: giving you hope, providing you with morals and values and inspiring you to be a good person. you pick great topics to write about, and you write them in a very clear yet inspring way congratulations! I completely agree. Such a clear point of view, yet modern and evolved. You have awesome energy. Thank you.